Hooking up has never been easier thanks to Tinder. Swipe right on somebody and you can be hooking up within an hour. But would you ever swipe right on a dog? Before you start saying that’s gross, let me introduce BarkBuddy. 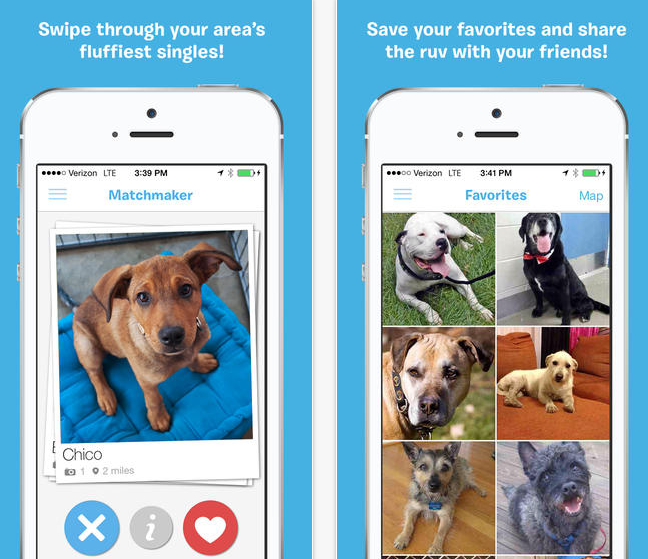 BarkBuddy is being nicknamed “Tinder for dogs” and is run by dog shelters across the United States and Canada. With BarkBuddy, dog shelters upload pictures of dogs which are available for adoption. Anybody who wants to adopt a dog can download BarkBuddy and then swipe right on dogs that they like or swipe left on dogs they would not want to adopt. Just like with Tinder, you can also tap the ‘Heart’ or ‘X’ button to indicate your interest. Currently, BarkBuddy is affiliated with around 2,500 shelters and lists a total of over 300,000 dogs. Dogs are available from shelters across the United States and Canada. 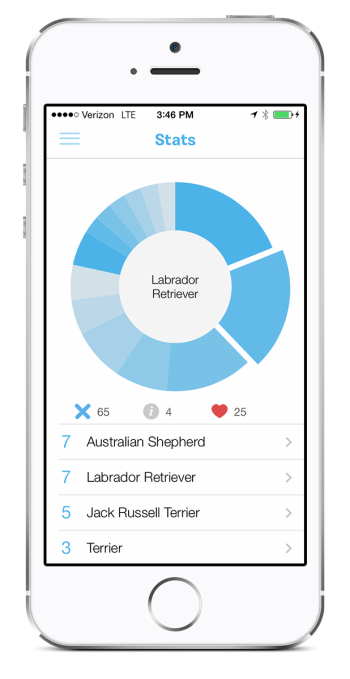 -Before you start swiping, you can indicate which type of dog you would like. You can narrow your search based on male or female dogs, age, activity level, size, and more. -BarkBuddy uses your geolocation to narrow your search to dog shelters in your local area. Of course, if there’s a special dog you want from across the country, then you can swipe right on that dog too. -When you’re considering whether to swipe left or right on a dog, you can tap the dog’s photo to read its name and a basic description. -Dogs you’ve liked are saved into your phone’s “Favorites” section. As your Favorites menu fills up, BarkBuddy uses that information to guess which types of dogs you like. So far, the app is only available on the iPhone. There’s been no word about an Android version thus far, but if BarkBuddy attracts a strong following, then an Android app is inevitable. Or, if you’re ready to start checking out cute puppy dogs in your local area, then you can download the app for iPhone here. We’ll let you know when an Android version of BarkBuddy is released!